If you are looking for guidance on how to print your own recipe cards, you've come to the right place. In addition to providing a free recipe card template for Word and blank printable recipe cards, we also explain the pros and cons of the various methods for printing your recipe cards. After downloading a template below, don't forget to read through the rest of the page for tips on how to print your recipes. The recipe card templates below can be downloaded for free, but are for your personal use only. You may print as many paper copies of your recipes as you want and are free to share your printed recipe cards. If you like our recipe card templates, please link to this page from your website or blog. Format: 4x6" for printing on Index Card stock. This recipe card is professionally designed to make it easy for you to edit, and instructions for how to customize it are included under the Directions. See below for information about how to print individual recipe cards. Format: 3x5" For printing on Index Card stock. If need a little more room to fit your recipe, you can remove the watermark image and reduce the page margins. 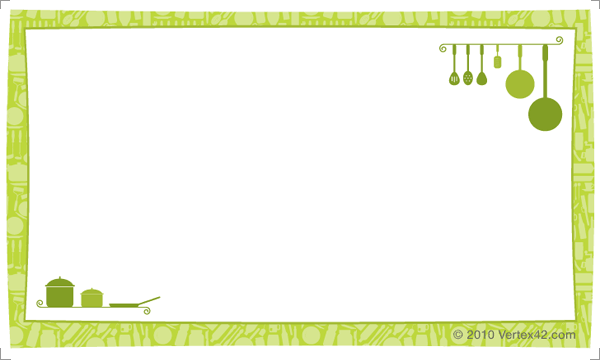 This template is perfect for printing 4x6 recipe cards on regular paper or card stock and the font is easy to read. To fit most recipes on a 3x5 recipe card, the font must be small. But with this template, it is still readable. In each of the recipe templates above, basic instructions for editing the recipe cards are included on the card. Simply read the instructions and then replace the text with your recipe. After adding your recipe, save the file using a descriptive filename. Store all your recipe card files in the same directory on your computer to make it easy to organize and find them later. See the section below for various print options. Laminating your recipe cards can help protect them against spills and stains as they sit on your counter top. You can use packing tape if you don't have any special laminating paper. To avoid the hassle of laminating, simply print out another copy if your original card gets ruined. Just keep extra blank recipe cards handy. If you've saved your recipes as recommended above, it will be easy to replace them when they get damaged. Whether you are using the PDF files for blank printable recipe cards or the Word recipe template, here are some helpful tips on ways to print your recipe cards. One of the cheapest ways to print your recipe cards is to print on regular paper or cheap card stock. Then, you can cut them out and either laminate them or glue/tape them to 4x6" or 3x5" index cards. The index cards may run you less than a dollar for a package of 100 cards. You can use double-sided tape or glue stick. Or, you can use clear wide packing tape to both attach the recipe to the index card and laminate it at the same time. Pros: Cheap. No messing with printer settings. Laminating will help protect against spills. Cons: Must cut them out yourself. If your printer contains a separate tray/slot to insert postcards, envelopes, and other non-standard size paper, simply insert the recipe card into the tray/slot and print. If your printer contains a tray with sliding bars that you can adjust to fit the size of a recipe card, envelope, and other non-standard size paper, place the recipe card on the tray, adjust the bars to fit and print. Pros: Index cards are inexpensive, and you don't have to cut them out. Cons: Requires a printer that can handle 4x6 or 3x5 card stock. Printer settings may be difficult to get right. My Experience: For the 4x6 recipe cards, I had to change the Printer properties before my printer would let me print on index cards (set to Postcard type paper). In the end, they looked great, but the cards were slightly curved due to the rollers in the printer. Except for always ending up crooked, the 3x5 recipe cards also worked fairly well. Pros: No cutting. Will work on most printers. 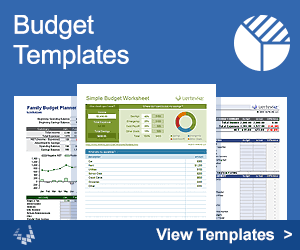 The above templates work for multiple Avery product numbers. Cons: More expensive. will cost around $25.00 for about 100 4x6 recipe cards, depending on what product you get. The two blank .png images of the 4x6 and 3x5 recipe cards above are sized so that if you print from Microsoft Paint or some other Image editor, they SHOULD come out the correct size. The sites listed below provide many more different recipe card designs that can also be printed for free. Avery Postcard Templates at Avery.com - Avery offers a selection of free Word recipe card templates for printing postcard stock. Printable Blank Recipe Cards at graphicgarden.com - There are some very nice looking free printable recipe cards on this site for 4x6" cards. Collection of Printable Recipe Cards at FreePrintableRecipeCards.net - A very large collection of blank recipe cards, mostly of the same style with different graphics and backgrounds. Creating Recipe Cards with Word at bellaonline.com - Explains a method to create recipe cards from scratch. You can actually select specific Avery products using this method.